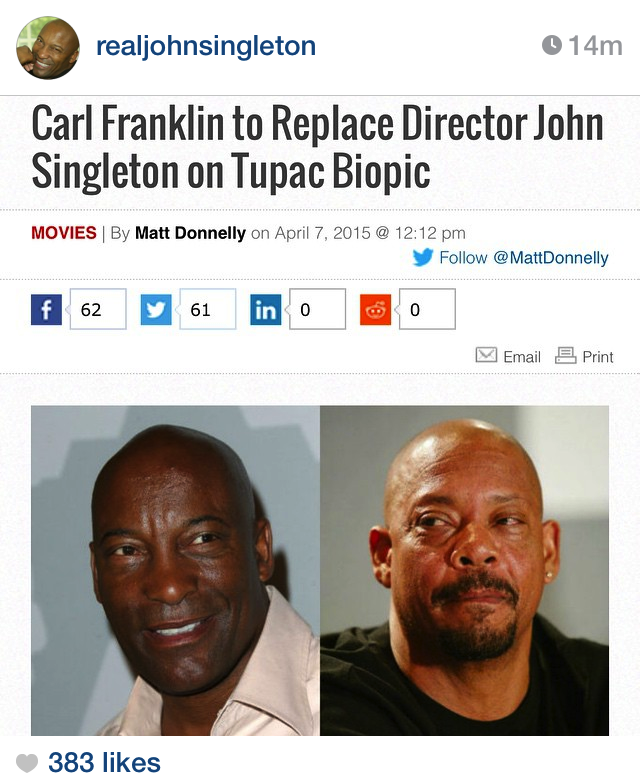 Why John Singleton Ditched the Tupac Biopic?? Posted on April 9, 2015 by M.E. 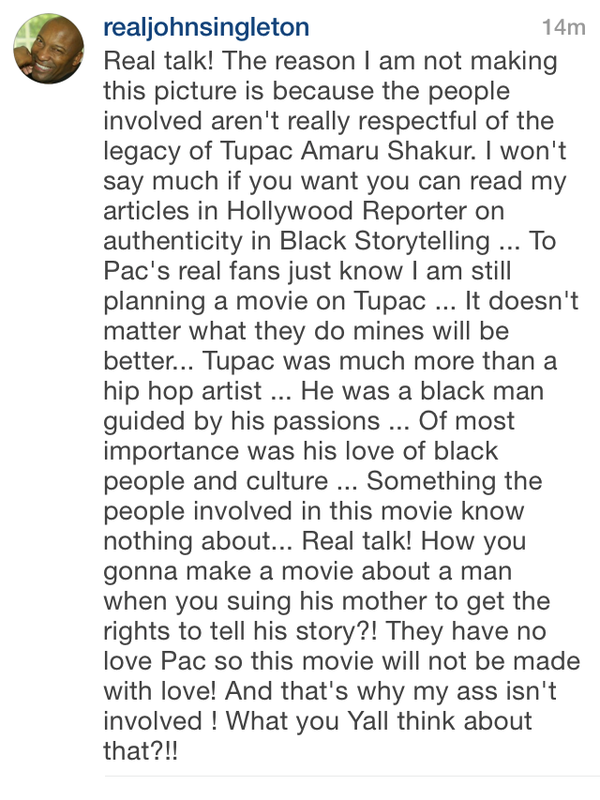 Acclaimed director John Singleton walks away from the the highly anticipated Tupac biopic and slams the production on his way out. Yesterday John confirmed the news he was leaving the project and explained exactly why he was jumping ship.